If you are concerned about breast cancer, than you are probably also wondering about its risk factors and how they can be prevented. The prevention of cancer starts with leading a healthy life and staying physically active (Learn also: Ovarian Cancer Risk Factors). Many factors are known to increase the risk of getting cancer. Some of these factors, like for example a family history, a genetic predisposition and age can’t be influenced. However, on the other hand some of these risk factors can be prevented. Does Pregnancy Increase Breast Cancer Risk? 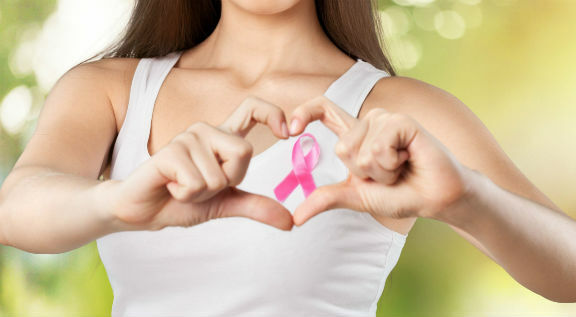 Having children later, or not having children at all – it is known that women who have their first child over the age of 30, or even women who do not have children at all are at a greater risk of suffering from breasts cancer in the future (Read also: Options Available for Women over 40). However, women who have given birth at a younger age, especially under the age of 20 have lower risk of getting cancer later in life. Early pregnancies reduce the estrogen in a woman’s life by eliminating significant number of menstrual cycles. Not breastfeeding – according to some studies it has been estimated that women who do breastfeed their babies reduce their chances of getting breasts cancer by up to 60%. Once again, estrogen is the reason. The length of breastfeeding seems not to matter when it comes to lowering the risk of cancer. Hormone therapy – taking hormone replacement therapy after menopause for longer than five years increases the risk for cancer. In Vitro Fertilization (IVF) – is known to increase the risk of breast cancer but only for younger women. Obesity – increases the risk for almost any health problem and not just cancer. The extra pounds increase the risk of cancer due to estrogen. It is well known that fat tissue produces estrogen. While still menstruating, the main sources of estrogen are the ovaries. Once a woman hits menopause, the main source of estrogen is fat tissue all over the body. Alcohol – drinking too much alcohol is known to increase the risk for almost any health problem and not just cancer. The more alcohol you drink, the more likely you are about to develop cancer in the future. Drinking 2 – 5 drinks a day, increases the risk of cancer by 1 – 2 times. Smoking – smoking increases the risk of cancer, especially in premenopausal women. To quit smoking is one of the smartest things you can do not only for lowering the risk of getting cancer, but also for your overall health. Be physically active – physical activity helps you maintain a normal weight which will lower the risks of getting breast cancer in the future. Shoulder dystocia is an emergency condition which occurs during the second stage of labor. This medical emergency occurs due to the fact that one of the baby’s shoulders becomes stuck, once the baby’s head has been born. One or both of the baby’s shoulders can get stuck behind the pelvic bones of the mother. Medical Emergency: What Is Shoulder Dystocia? Baby’s position during birth, etc. Luckily it is a rare emergency in vaginal deliveries (Read also; Common Labor Complications). Once shoulder dystocia occurs, the baby needs to be born quickly in order for him/her to continue to get enough oxygen. While the baby is stuck into this position in the birth canal, the umbilical cord that supplies the baby with oxygen, blood and necessary ingredients is squashed, which will make your baby suffer for oxygen and blood very quickly. As mentioned, luckily shoulder dystocia is a rare complication during vaginal childbirth. It is also a complication that can’t be predicted. Some factors can increase the odds of shoulder dystocia, like: delivering a big baby, usually a baby weighing more than 4 kg, if the pregnant woman has already had shoulder dystocia problems in the previous childbirths, if the pregnant woman is overweight, is there is need for assisted birth using forceps or ventouse, if the labor is induced, if the pregnant women suffers from gestational diabetes, etc. However, regardless of the above mentioned risk factors for shoulder dystocia, this medical emergency can occur also in women without any of the above mentioned risk factors. The only symptom of shoulder dystocia is a stalled delivery after the baby’s head has been born. This medical emergency should be recognized on time by the doctor and midwives in order to help you deliver the baby as quick as possible. Shoulder dystocia is something that can’t be prevented, due to the fact that is an unpredictable medical emergency. However, if one or more of the possible risk factors are present, considering other birth methods like C-section delivery are a vise option, comparing to vaginal delivery. What Are the Complications of Shoulder Dystocia? If the medical emergency is recognized on time from the doctors and midwifes, usually the baby is born without any consequences. Complications for the baby include: lack of oxygen, fracture of the collarbone or arm, injury of the brachial plexus or even paralysis. Complications for the mother include: hemorrhaging, bruising or tearing of the genital area, bruising of the bladder, uterine rupture, etc. What are the options once Shoulder dystocia occurs? The period of labor and childbirth are one of the most difficult but also the most excited moments in a female’s life. Understanding the labor stage will help you be better prepared for this period. For the first time mom’s it is hard to know when the labor begins. In some cases it all occurs very quickly. Every pregnancy is different and there is a wide variation in the length of labor. For women who are giving birth for the first time, labor often takes 10 – 20 hours. However, for some women it can last much longer. On the other hand, for some women the labor period is much shorter. The labor period is more quickly for women who have already given birth vaginally in the past. Most women give birth between the 37 and 42 week of pregnancy. However there is no way to pinpoint when the labor will begin and the child will be born. The process of labor and childbirth is divided into three stages. During the first labor stage the contractions begin. These contractions intend to be much longer, stronger and closer together as labor progresses. During this phase, contractions usually last between 30 and 60 seconds; they generally start 20 minutes apart and move to about 5 minutes apart. Eventually these contractions will last 40-60 seconds and they will be coming often, every five minutes. Contractions cause progressive changes in the cervix. This stage ends when the cervix is fully dilated. This stage is divided into early labor and active labor (Learn more: What Causes Water to Break). Early labor is characterized by a gradually thinning and opening of the cervix, while the active labor is characterized by a rapid dilatation of the cervix, which ends with a total cervix dilatation. (The cervix should be dilated 10 cm). The last part of active labor, when the cervix dilates from 8 to 10 centimeters, is called the transition phase. By the time the cervix is fully dilated the baby has usually descended and entered the birth canal. After the cervix is totally dilated the second stage of labor beings. This labor stage ends when the baby is delivered. It is often referred as the pushing stage. It lasts about an average of one-half hour to two hours in first-time moms. In subsequent births, it may last anywhere from a few minutes to two hours. The third labor stage of labor is considered the stage after the baby is born and until the placenta is delivered. Couple of minutes after giving birth, the uterus begins to contract again and the placenta gets separated from the uterine wall. On average, the third stage takes about five to ten minutes. Keep in mind that labor is different for every woman. Labor and delivery are also different for each of the pregnancies. Sometimes labor can be induced (Read also: Common Labor Complications). The decision to induce labor is often made by the doctor when the woman has past her due date or when there are health problems regarding the baby or the mother.